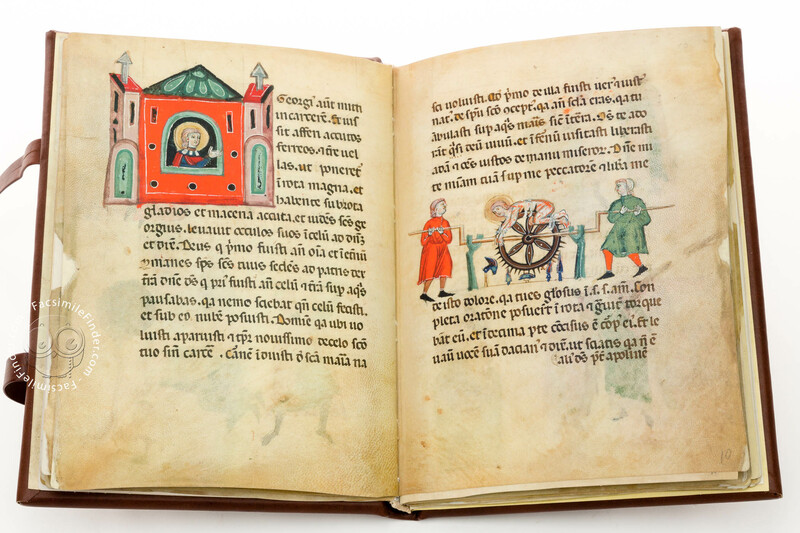 Containing one of the most ancient lauds in Veronese vulgar, the manuscript (Verona, Biblioteca Civica, ms. 1853) is a highly illuminated codex, produced in Verona in the second half of the thirteenth century. 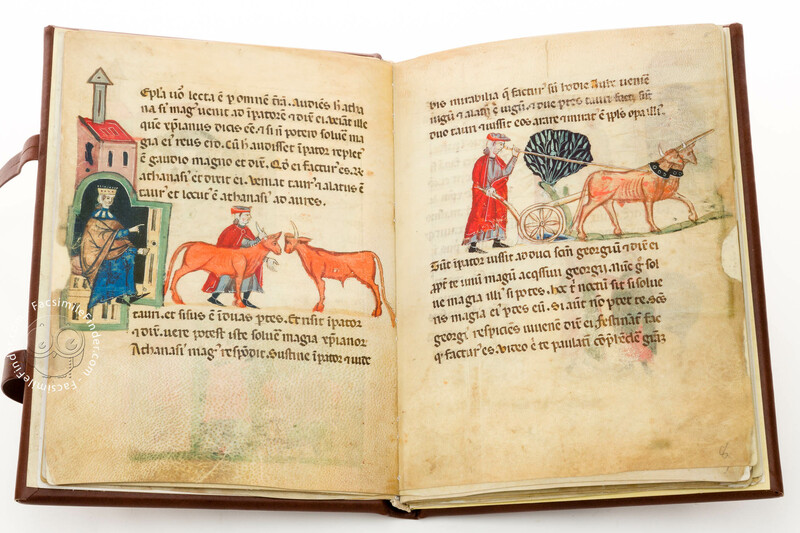 In addition to the prayer to the Virgin, written in semi-cursive Gothic script, the book contains the lives of St. George of Cappadocia (fols. 3r-26r) and St. Margaret of Antioch (fols. 27r-37v). 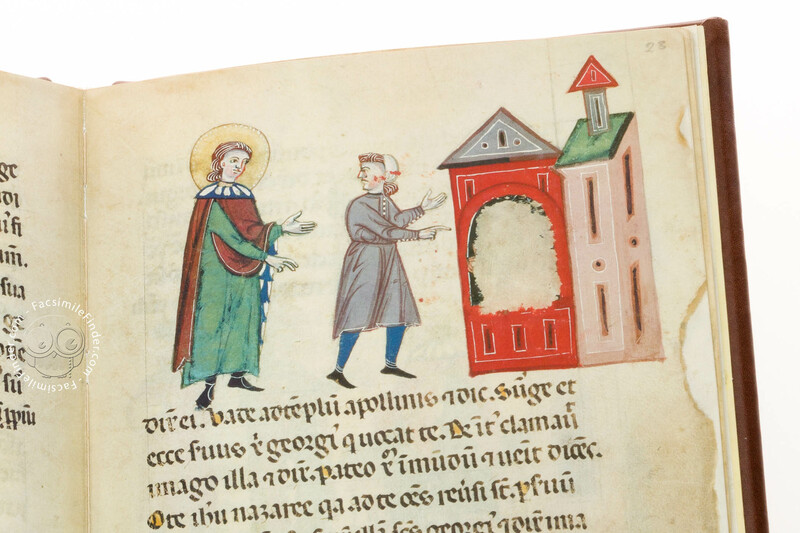 The scribe wrote the text in a large Gothic rotunda, leaving large portions of the parchment empty. 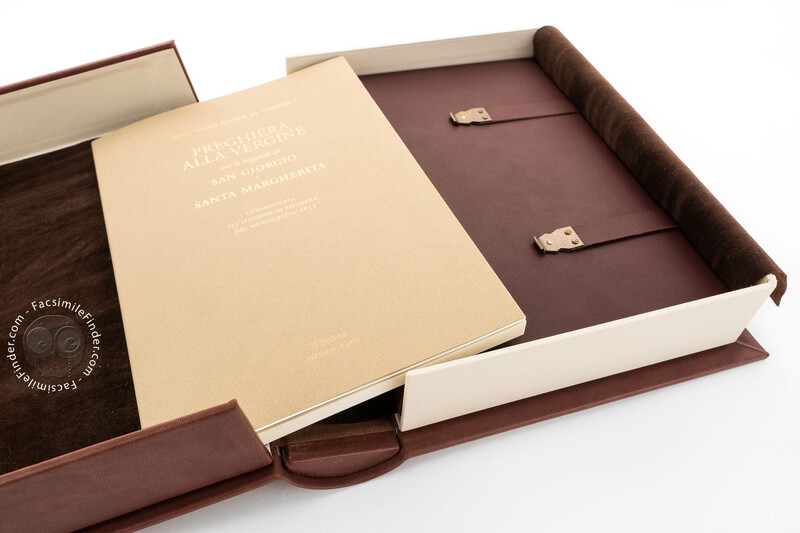 This elegant layout indicates that the book is a luxurious copy, because the makers used much more parchment than the material necessary for compiling the text. 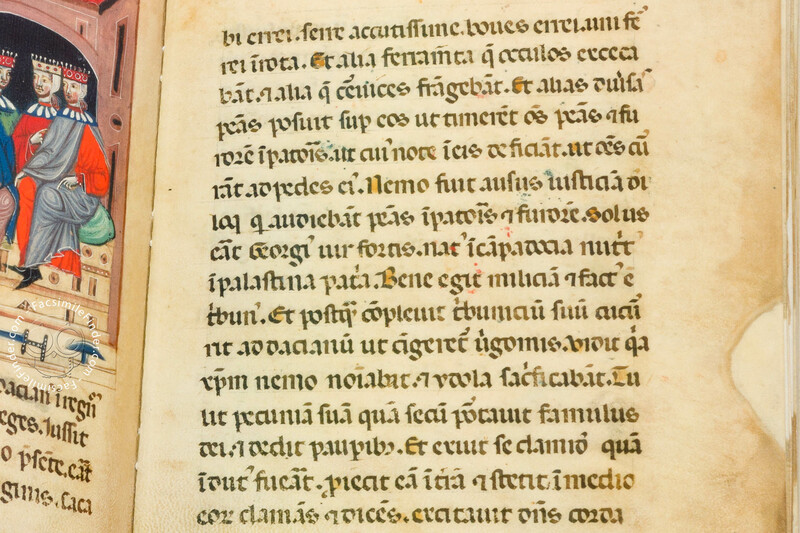 Throughout the manuscript, many illuminations render visually the events described in the text, so the reader can contemplate in images the prayers and legends contained in the book. 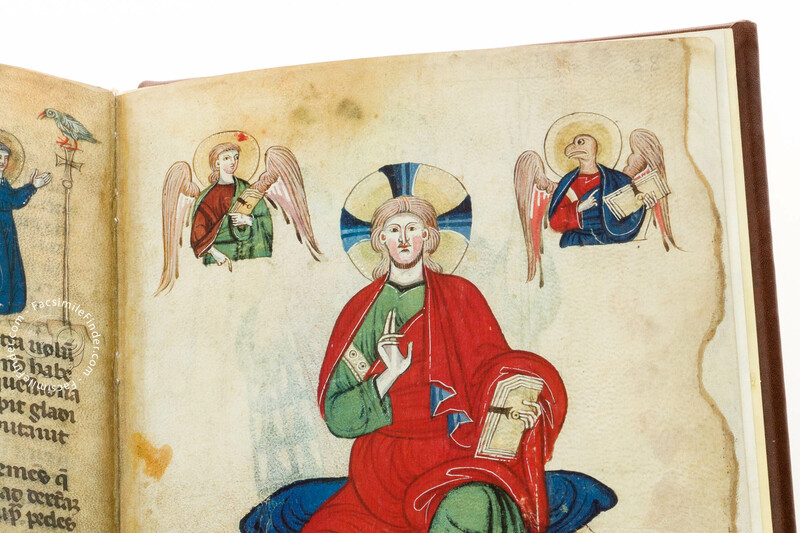 The codex closes with two full-page illuminations featuring Christ in Majesty with the four evangelist symbols, and a portrait of St. Christopher, respectively. 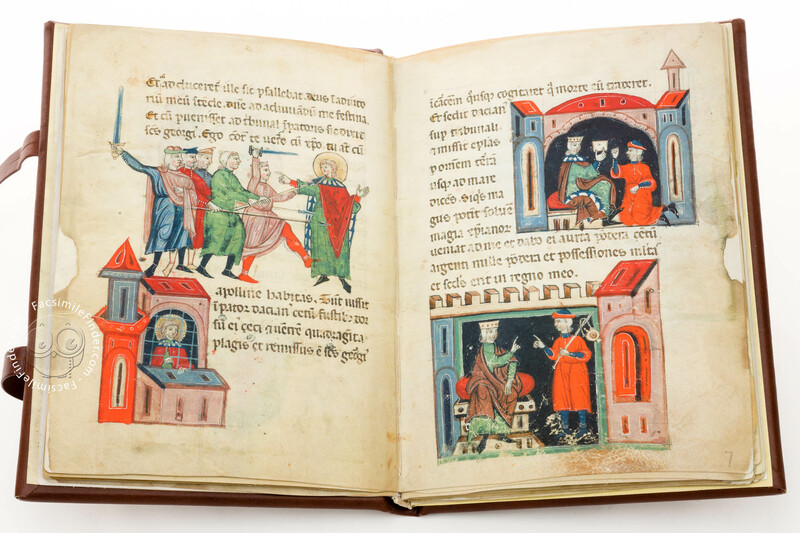 The Biblioteca Civica bought this manuscript in 1881. 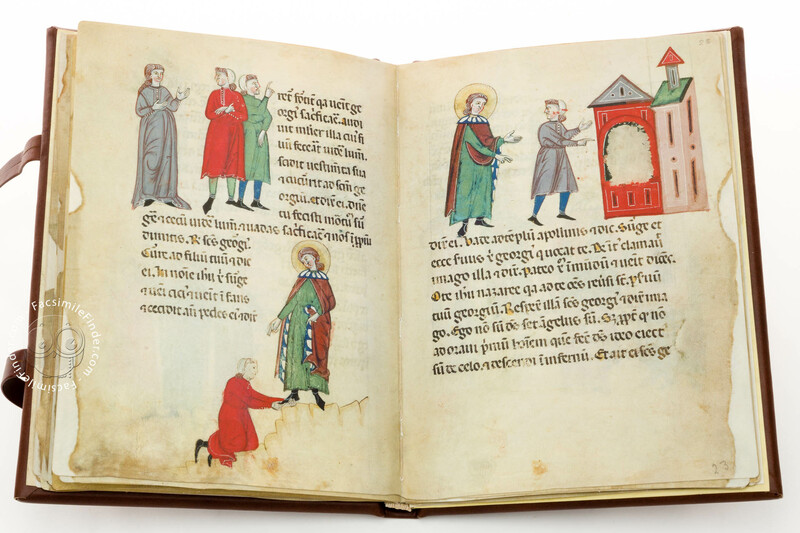 The codex was probably originally preserved in the convent of St. Mary Magdalene in Verona and used to nurture the spirituality of the nuns, who could read and see represented in the manuscript the lives of the saints. 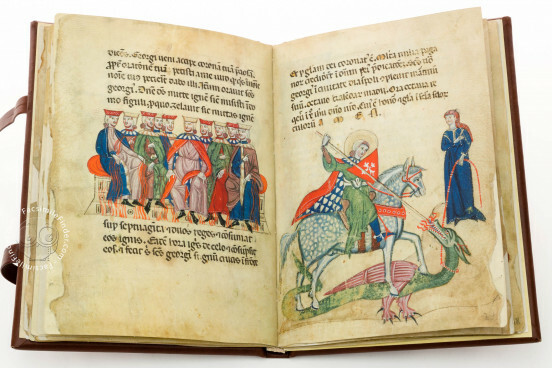 The lives of St. George and St. Margaret contain an extraordinary number of miniatures. 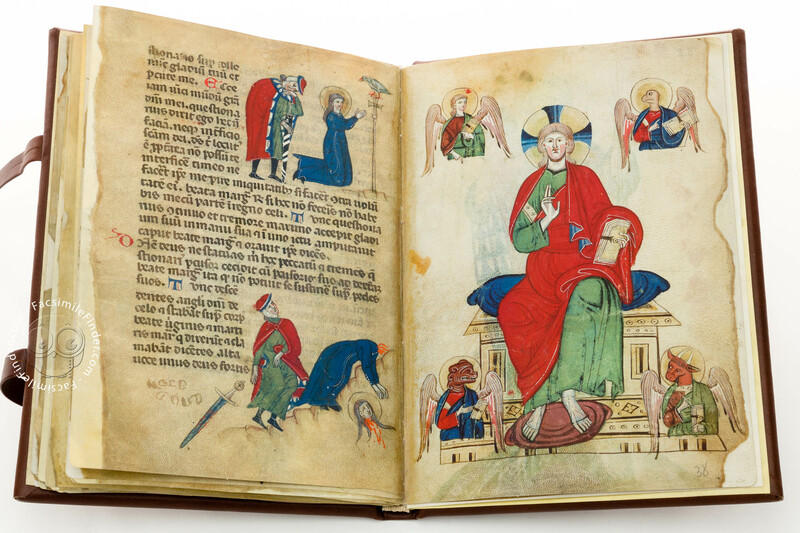 Seventy-eight illuminations represent the lives and martyrdoms of the saints in a continuous narrative, demonstrating the didactic function of medieval miniatures in devotional manuscripts. 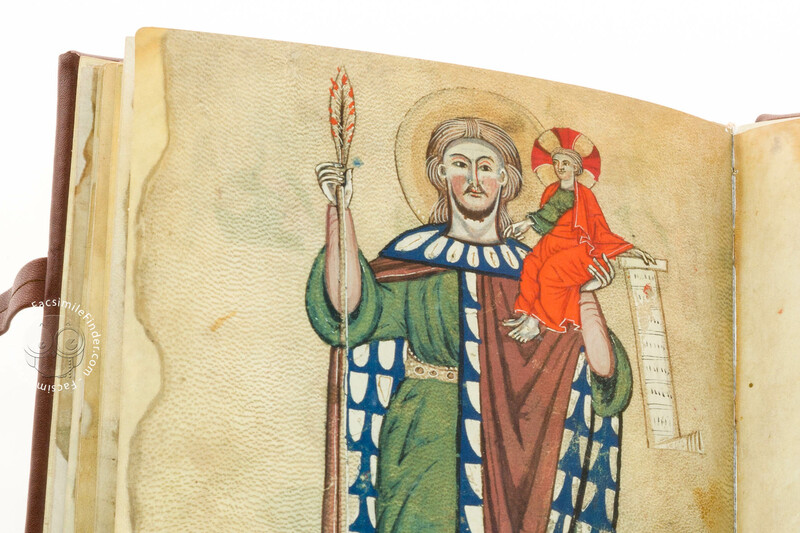 The pictorial style finds comparison in thirteenth-century frescoes in Verona and shows influence of Bolognese painting. The illuminations are valuable especially for the effect of amplitude and open space that characterizes the painting. 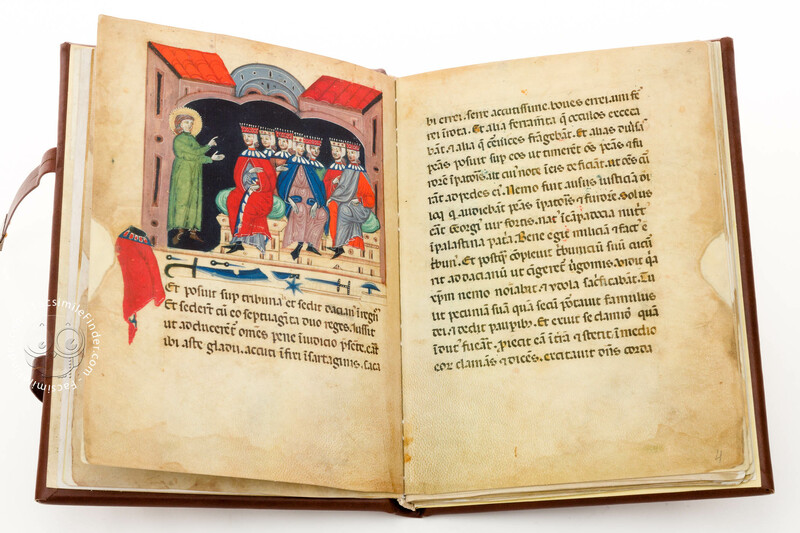 The life of George of Cappadocia appears in fifty-five miniatures that represent the story of the saint from the time he announced to be Christian to the emperor Dacianus to his death. St. George had to endure seven years of torture. These tortures are displayed with accuracy in the miniatures. The illumination that closes his life is the famous image of St. George defeating the dragon whit his lance, while the princess keeps the dragon on a leash. This imagery will have great fortune in Verona, where the famous painter Pisanello, around the year 1435, will paint this scene in a fresco in the church of St. Anastasia. 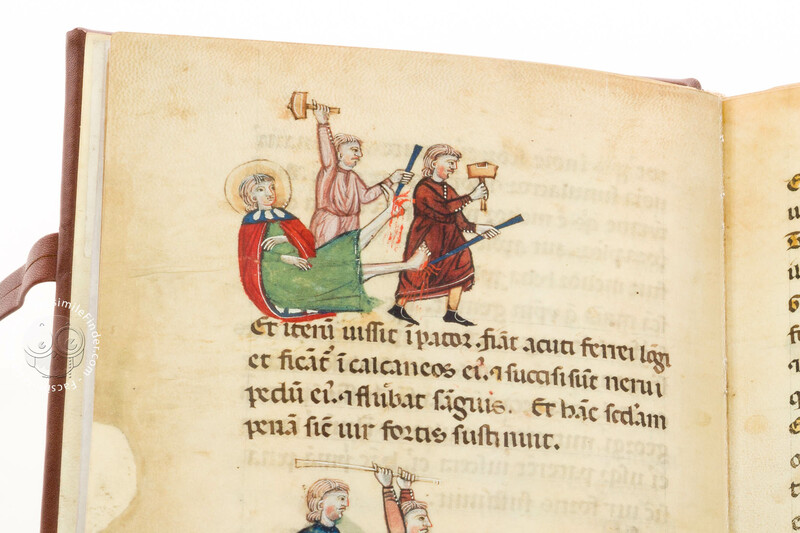 Following the illuminations of the life and martyrdom of St. George, the manuscript also features the legend of St. Margaret, a young shepherdess in Antioch. The story records that the Roman governor Olibrius found Margaret enchanting, but the girl did not love him back. Because of the girl’s refusal, Margaret was condemned as a rebel against the power of the Roman emperor. For this reason, she was tortured and killed. 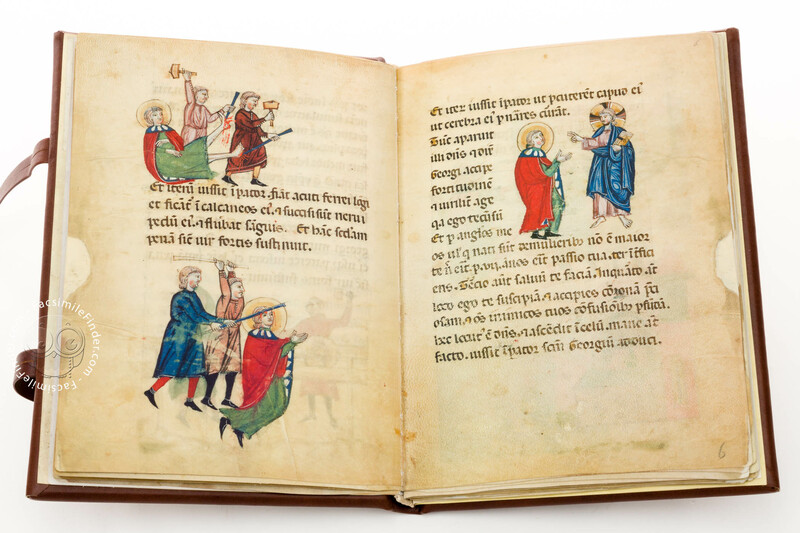 The illuminations in the manuscript face the beholder with bloody images of the several tortures inflicted to the young girl. 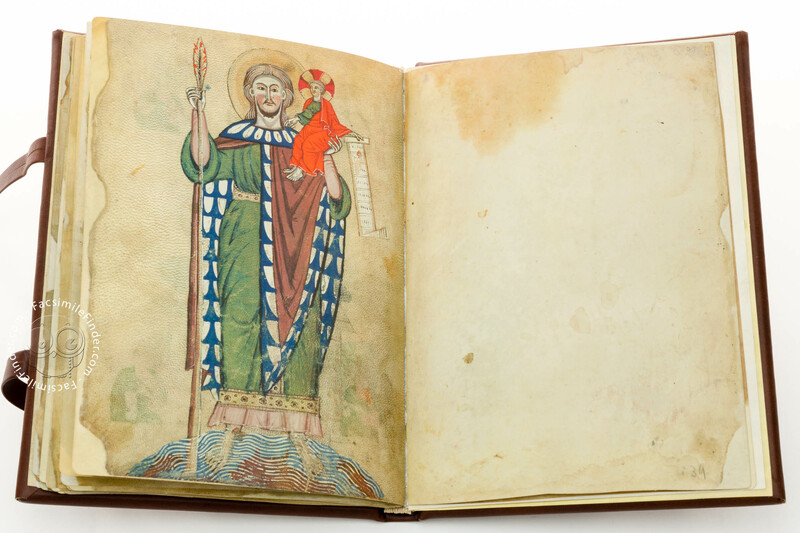 The tragic story of St. Margaret, whose gruesome details were depicted by the illuminator of the manuscript, constituted a fascinating subject for painters in both the East and the West. 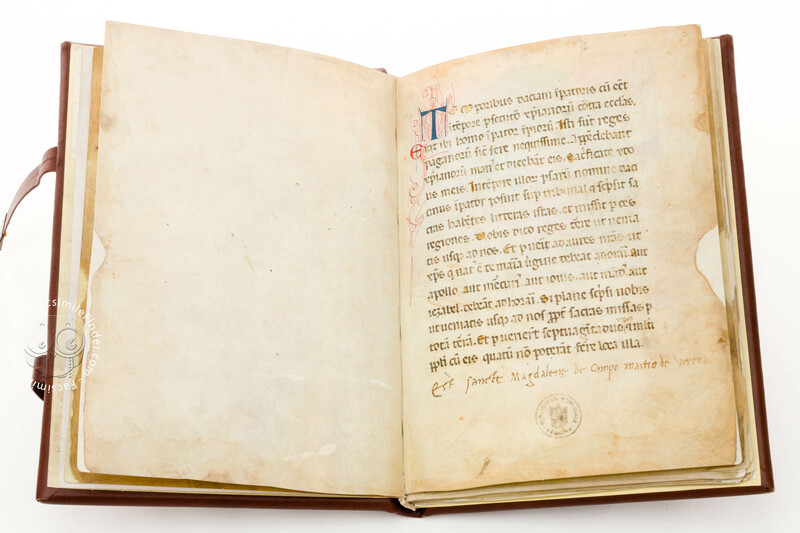 Manuscript book on parchment − 24 × 17 cm − 84 pp. 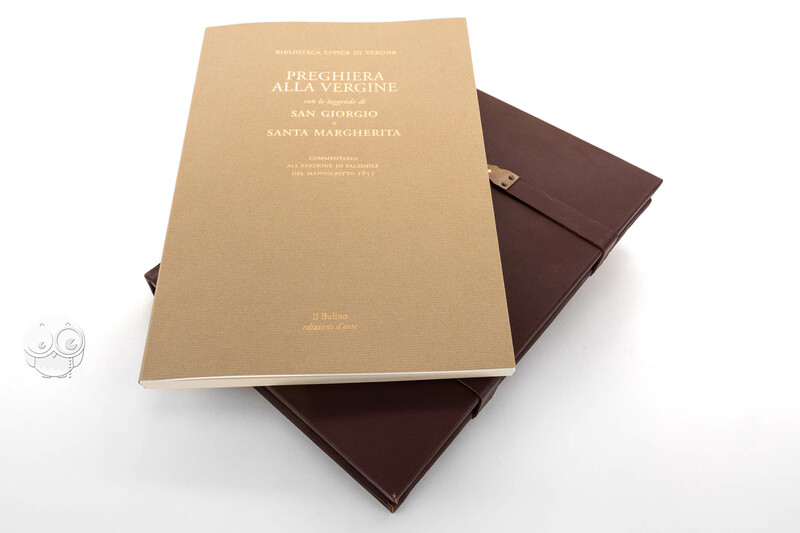 Commentary (Italian) by Bini, Daniele; Contò, Agostino; Zanichelli, Giuseppa Z.
Full-size color reproduction of the entire original document, Prayer to the Virgin: the facsimile attempts to replicate the look-and-feel and physical features of the original document; pages are trimmed according to the original format; the binding might not be consistent with the current document binding. 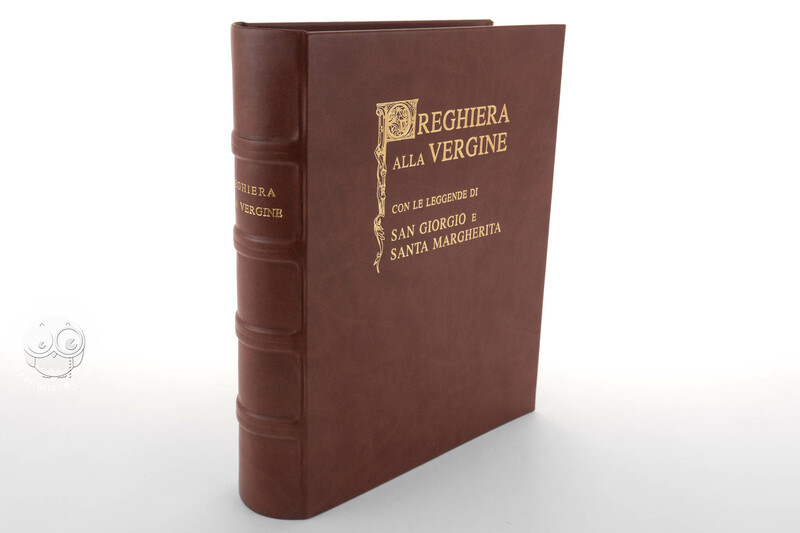 The edition, authorized by the Biblioteca Civica of Verona, is printed on a specific paper, and each folio is punched following the edges of the original manuscript. 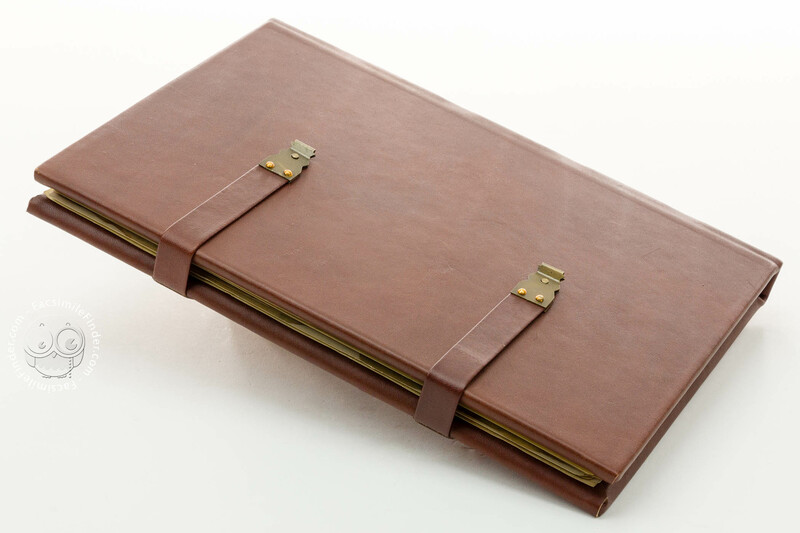 The commentary volume presents the complete transcription of the text and essays. 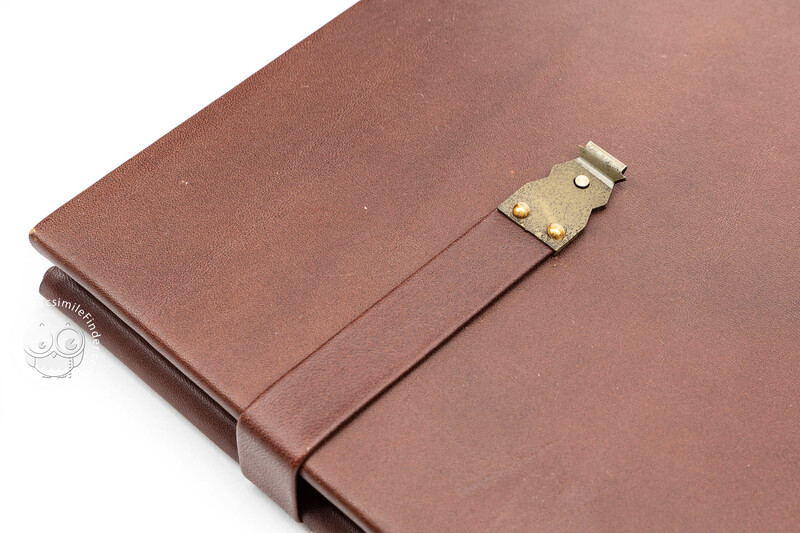 Wooden boards covered with red leather with straps and clasps.